Prolific punishing London crustgrinders SEWER TRENCH are back again, this time delivering a full length album of negativity, blasting and ear-ripping distortion. 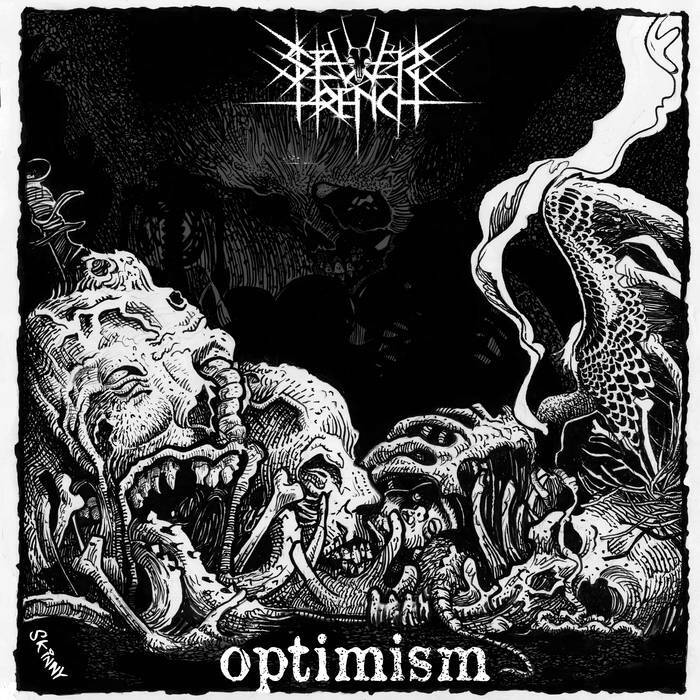 The ironically titled 'Optimism' is a masterclass in old school, direct, no-frills crusty grind, which isn't to say the release is not varied, the backstory for this release is about as muddled as the unparalleled 'Scum' but certainly sounds a hell of a lot more cohesive than it. The primary sound on display here is a classic swedeath, crusty guitar tone underpinned by cleanly produced but still very raw sounding drums, chainsaw bass and varied but constantly tearing vocal performances. 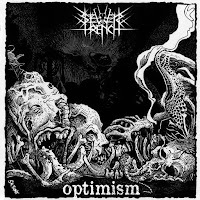 Though the album is undeniably a grind one the main references that spring to mind are crust punk ones, touches of Wolfbrigade vie with riffs you could find on a Disclose record, just with brutal low growls pulled straight from death metal. Followers of crust and grind will find plenty to sink their metaphorical teeth into here, with probably a 50/50 blend of furious blasting to manic d-beat, the odd buzzing bass intro and the occasional Motorhead-esque anthemic bridge balanced against a Wolfpack stadium crust riff. There is even almost a black metal track (these guys are clearly into their Darkthrone). Hellhammer, Skitsystem, Driller Killer, Gatecreeper, Iskra, and Full Of Hell. Highly recommended! Enjoy!